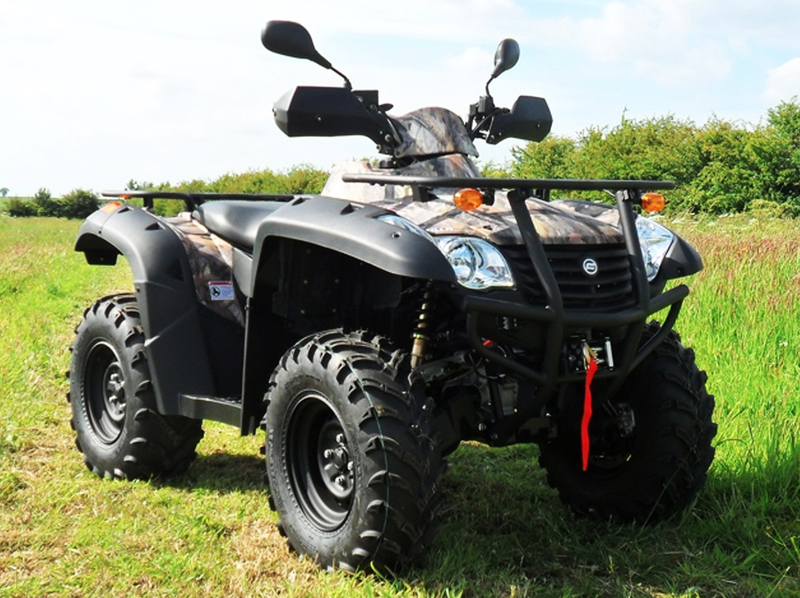 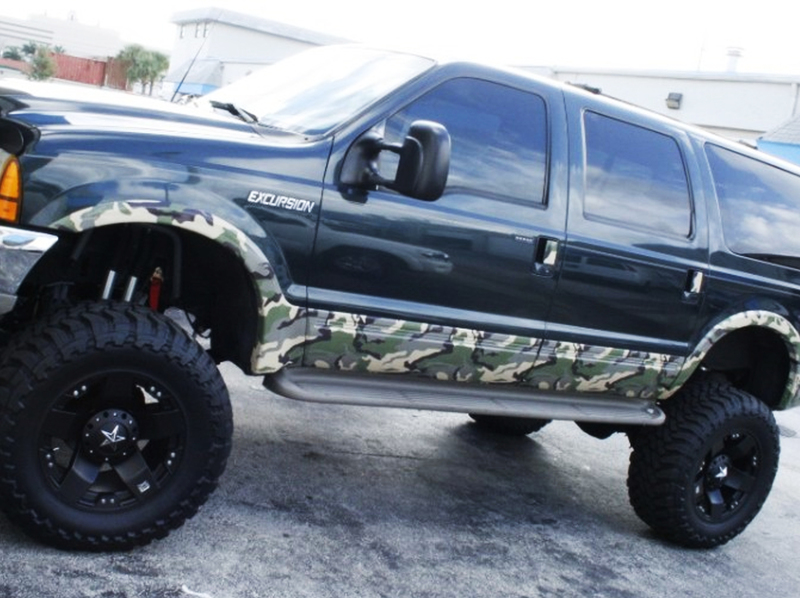 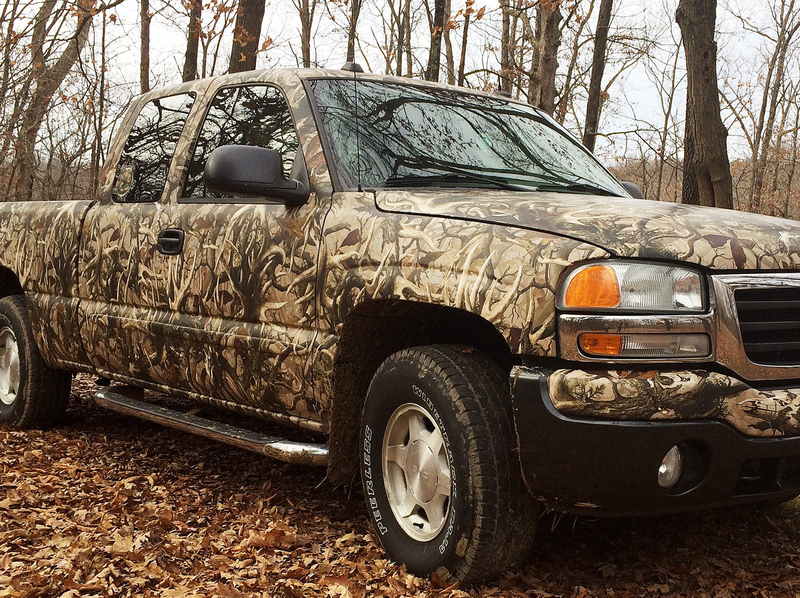 If you are looking for camouflage vehicle decals or wraps for your truck, boat, trailer or ATV, we have you covered. 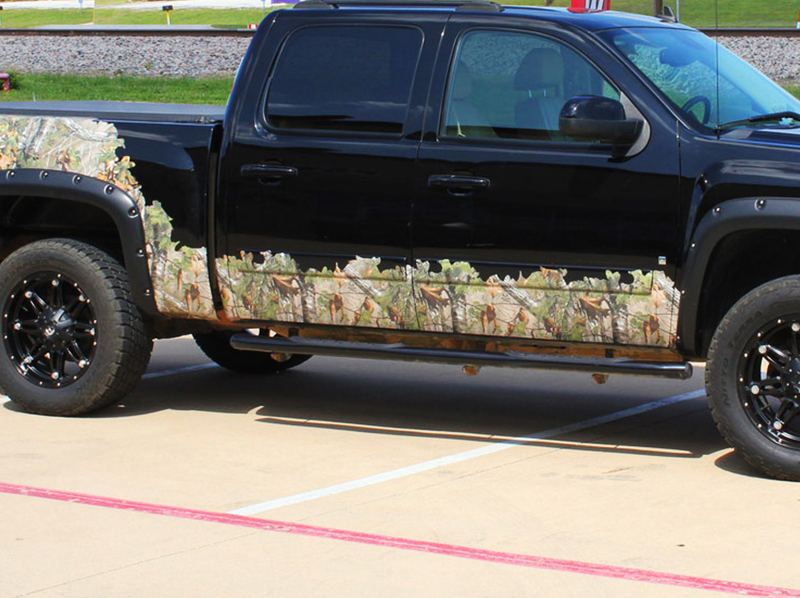 How about a unique 4x4 design for your truck or a full wrap on your boat or ATV? 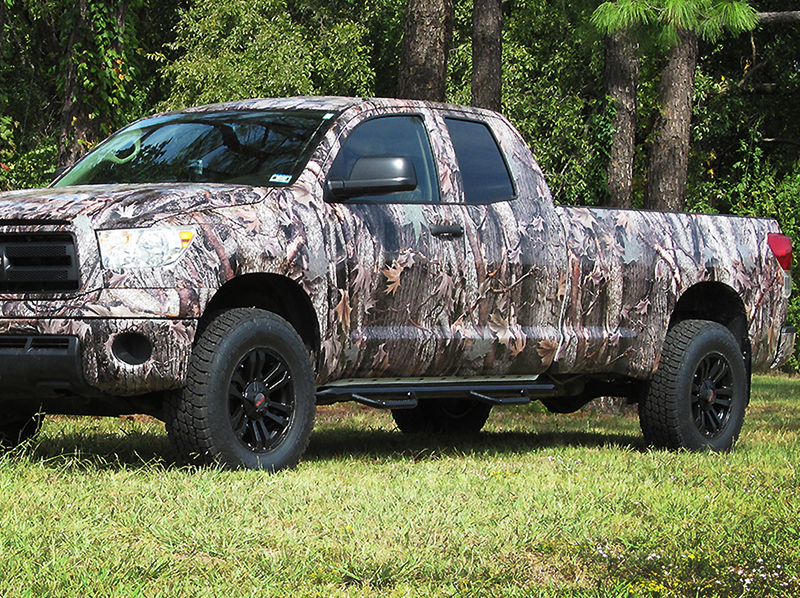 We have standard vinyl sheet sizes available to choose from in the pattern of your choice. 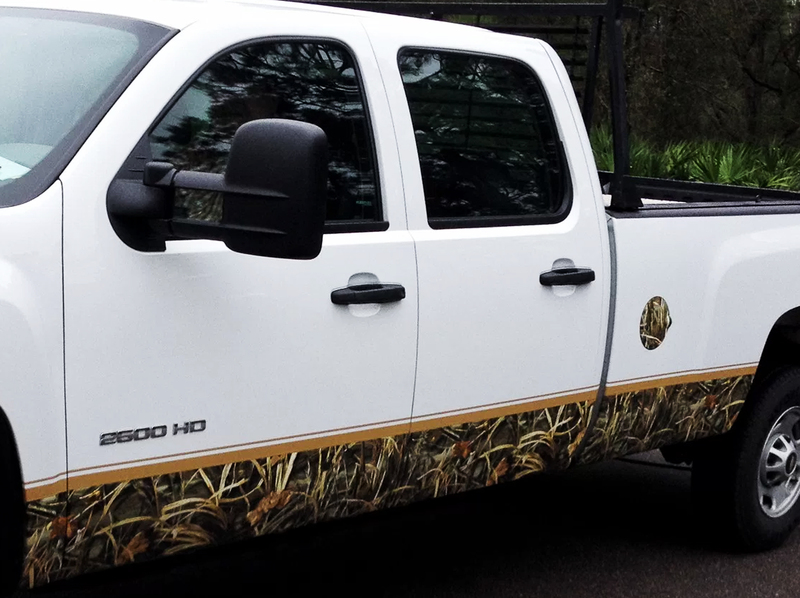 Your satisfaction is always priority here, so if you can’t find the camouflage vinyl sheet size or pattern you need, just give us a call and we'll help to create a design specific to your needs.